Browse our library of pressure mapping and force measurement resources, including eBooks, Case Studies, On Demand Webinars, Whitepapers, and much more. Camilo Aladro - Tekscan's Pressure Mapping Product Manager - coaches you through the pressure mapping sensor selection process. 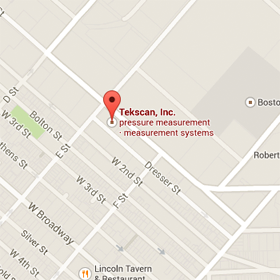 Whether you are looking for biomechanical insights to develop footwear, artificial joints, or gain a deeper understanding of human/animal movement patterns, information from Tekscan pressure mapping technology can help. In a clinical setting, a gait curve can be used to help diagnose issues with a person's gait and foot function. Let's look at the possible clinical associations of some common abnormalities that can be identified with the help of gait curves. Tekscan CTO Rob Podoloff shares his insight on the diverse roles for printed force and pressure sensing technologies in medical devices and automotive design. How pressure mapping technology is helping design engineers answer the end-to-end demands facing an evolving medical device landscape. See how utilizing FREE sensor integration advice and consultative support from FlexiForce Applications Engineers can help you stay efficient, and get your embedded device to market first! Tekscan's gait analysis systems can help you analyze gait issues in a variety of animals. Whether used in R&D design, on-site commissioning, or as a maintenance instrument, this video shares how pressure mapping technology offers endless ways to capture critical data that drives ROI.